Suitable for a wide variety of applications, Icynene insulation is as versatile as it is effective. 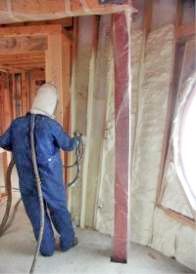 Whether you’re looking to outfit an apartment building in Memphis, an industrial factory in Atlanta, or a block of single-family homes in Richmond, Licensed Icynene Dealer Arango Insulation is your reliable and professional insulation contractor. With exceptionally fast turnaround times, our certified installers can have your Icynene insulation in place in no time, keeping you on schedule. Call us today, and we can often be on the job site tomorrow. Exceptionally efficient, Icynene foam insulation expands to 100 times its volume, seeping into and covering even the smallest crevices to provide complete insulating coverage. Plus, Icynene insulation doesn’t lose its R-value, sag, shrink, or settle like other types can as time goes by, providing unparalleled value. Call or e-mail Arango Insulation today to learn more about Icynene insulation products and our services as one the country's best home insulation companies.